Getting the best gift for a woman should be not only effortless and natural but also considerate and deliberate. The search needs to reflect on the way she is important to you without becoming too stressed. The reality is finding that perfect and desirable one seems hard as it involves a lot of searching and sometimes queuing up. And considering you get her covered, it should be in a few clicks with budget-friendly but luxury still treats. The article highlights a created curated list of jewelry to help inspire your search. 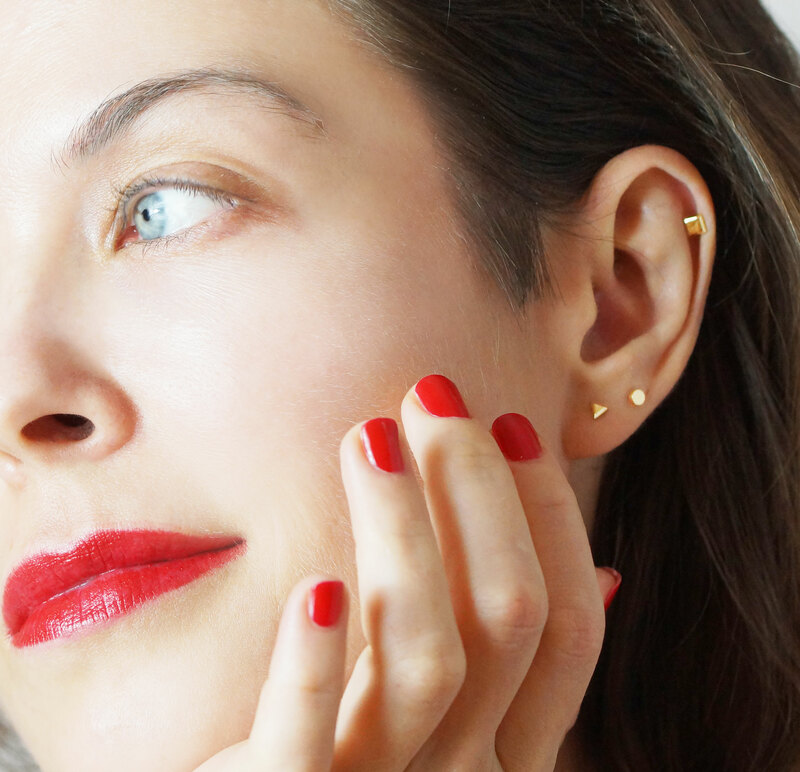 The design of thread through earrings allows you to feel and look amazing. The set is finely handcrafted using high-quality natural diamonds that adds some elegant touch to every occasion. The 18k yellow gold on the drop earrings provides an unmatched look to the ears. All you need is to thread its metallic pin through the ear and let it dangle towards your lobe’s back. With such an evocative fresh, British styling, the jewelry guarantees a bold shine that will turn to be your favorite. So, you have a reason to get inspired and grab these cool and luxury diamond ear piercing. The classic design of a baguette-made emerald makes the simple earring an elegant addition. 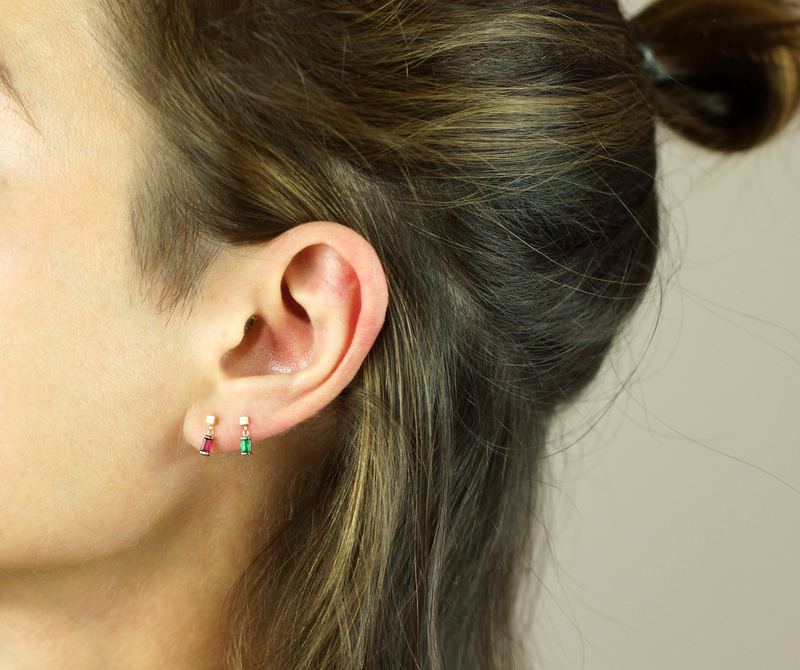 The helix piercing has white gold looks that enhance the excellent shape for any ear lobe. 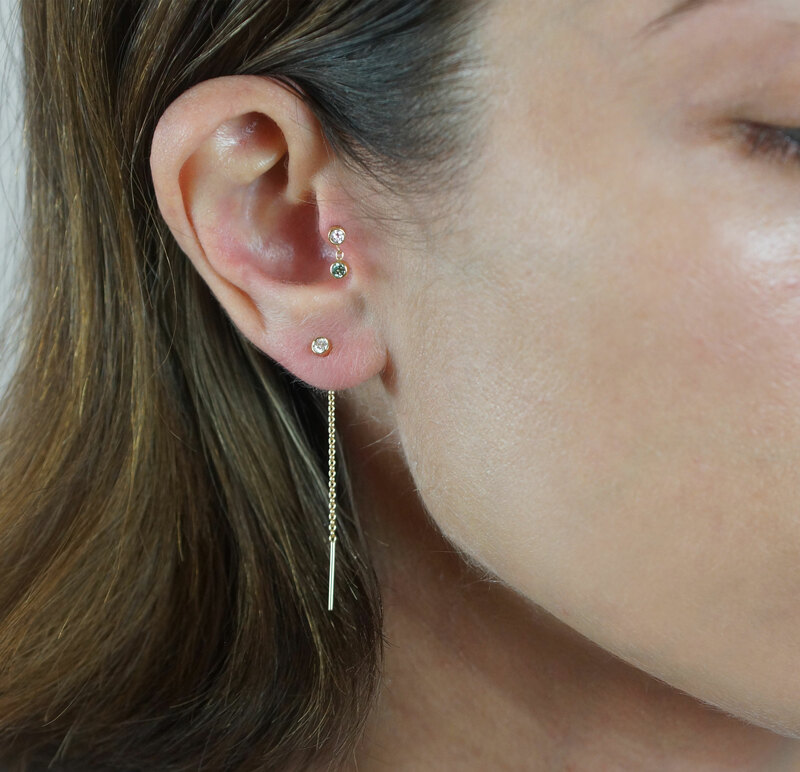 luxury ear styling is now everywhere, the fashion piercings come in three different colors. The handmade cartilage earrings have strong cornflower, bright Sapphire and brilliant Diamond. The used natural materials during production are evident with each having mirror refined gold finish. The design is plain on its dangling additions making each shine brighter. The stone and entire earring also stays free from gathering dust and remains easy to clean. The models follow body movement to bring beauty correctly while it is also balanced and easy to assemble. The glittering elegance adds some special touch as it is available in 2 different gold color matching any outfits. The sense of sparkle on 18K white gold earring brings some romantic feeling to ear styling. The diamond set has beautifully designed hangings that offer flirty looks. 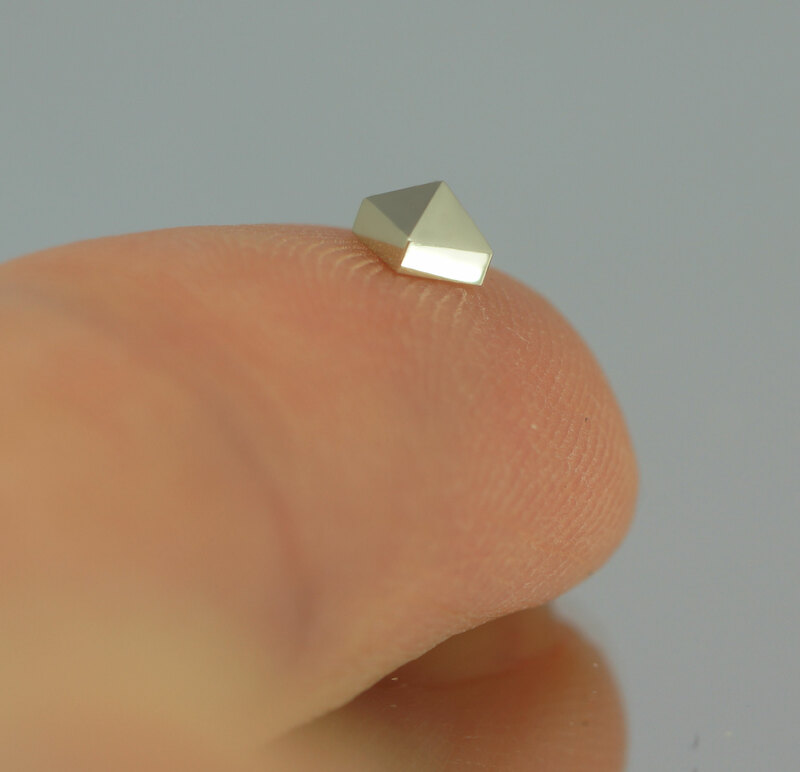 The quality and colors of natural diamonds are evident. The dangling models have a noticeable mirror refined gold surface to bring a brighter shine.The additions keep not only the stone but also the entire earring from gathering dust thus easily cleaned. The design allows it to follow your body movements by dangling sideways to make the beauty more visible. 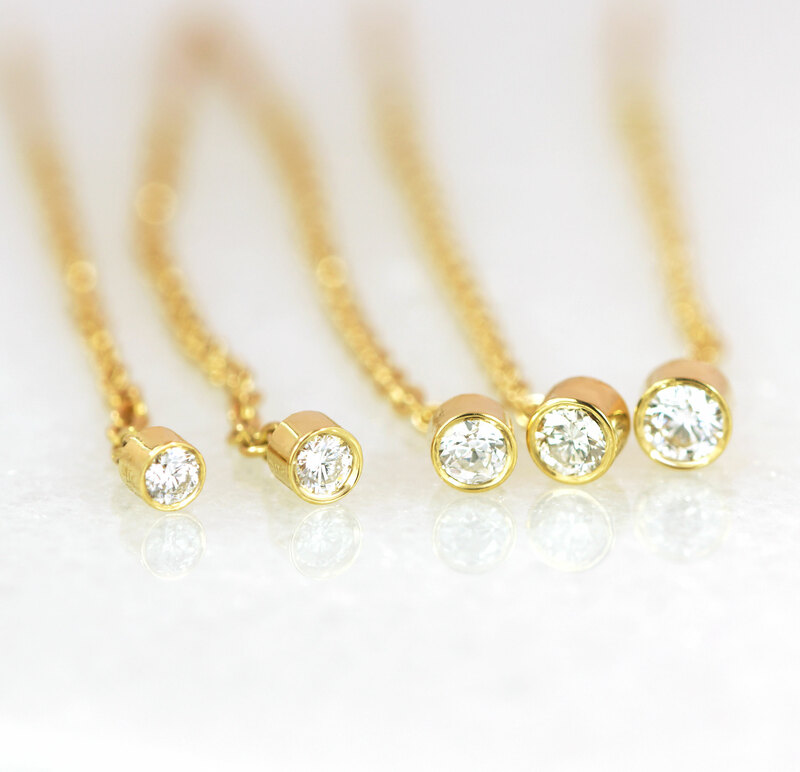 With a reliable and excellent 18k gold signature, it is easy and comfortable to fasten its threaded post back. 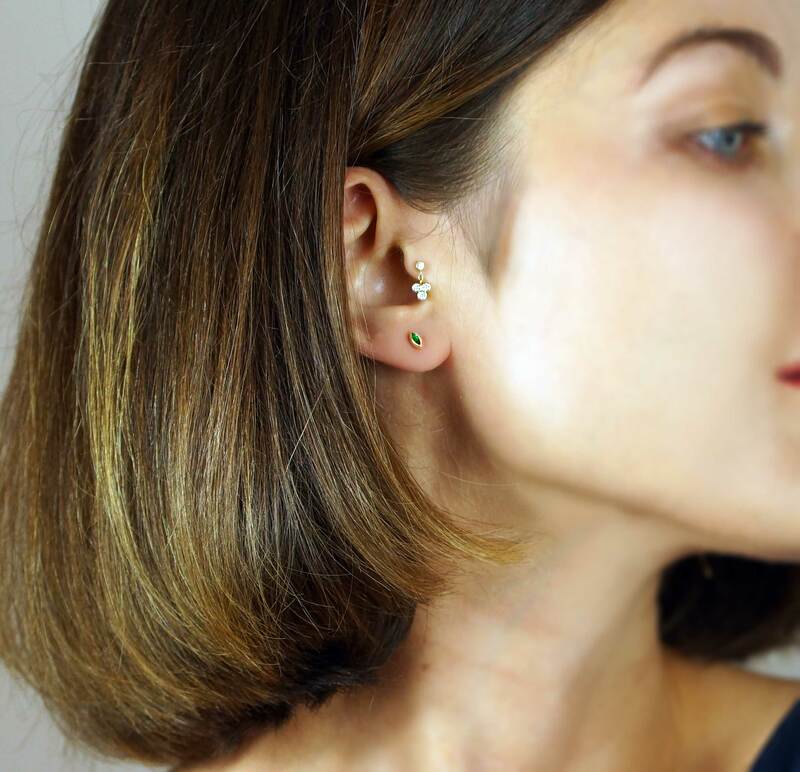 The various trends of ear styling gaining popularity have revolutionized the earlobe sector. The Cartilage Earring set is ideal for simple daily elegance because of the handcrafted four diamonds and 18k gold setting. The design accounts for the delicacy every fashion devoted modern woman desires. shine and shape which is different and evident. The earrings are crafted from natural and high-quality diamonds, 18k Gold, F color and VS1 quality. The screw backs on the signature pyramid are durable with some reasonable weight. 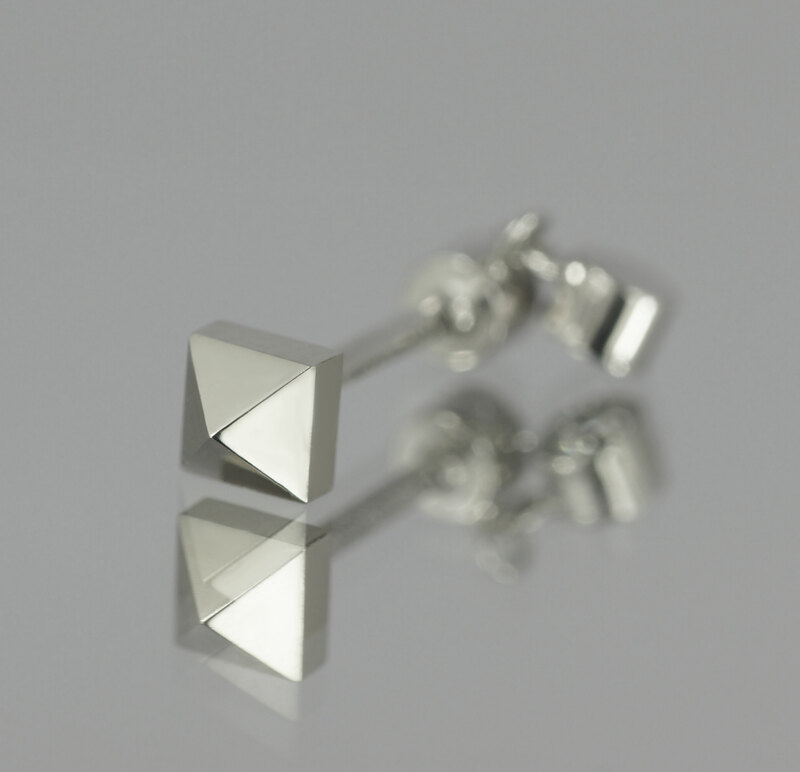 The beveled edge makes it comfortable to fit into the ears as it guides the barbell to the right place. The earring’s shape is attractive making it easy to wear from the reverse and still have it gorgeously reflect light from the sides. The ear-piercing inevitably brings the best balance and reflection concerning the lifestyle of a modern woman and power. Because the design matches many outfits, you can have many fashionable combinations. 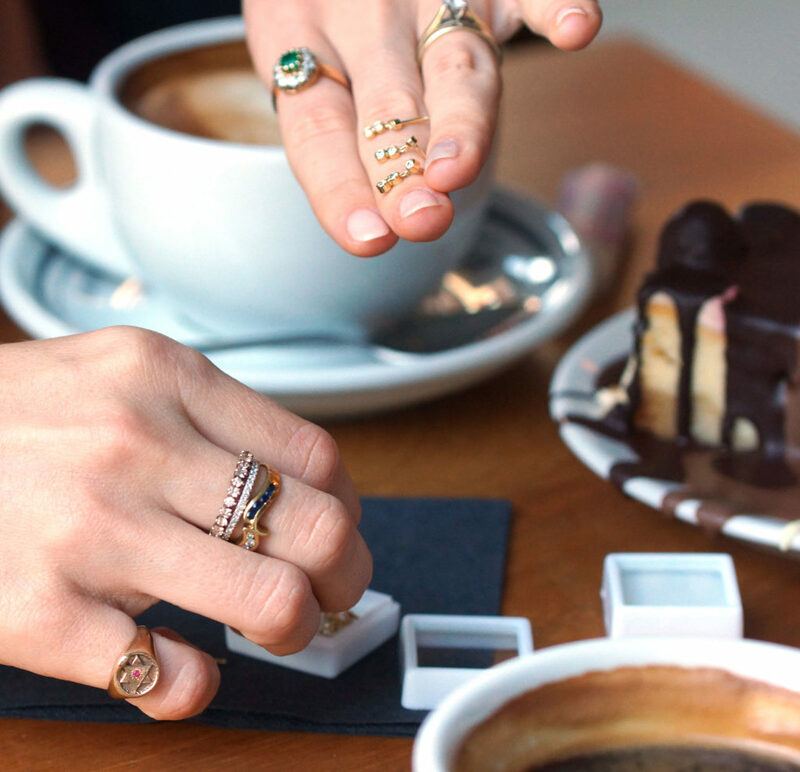 The minimalist tastes are here for the women who dislike wearing oversized jewelry. 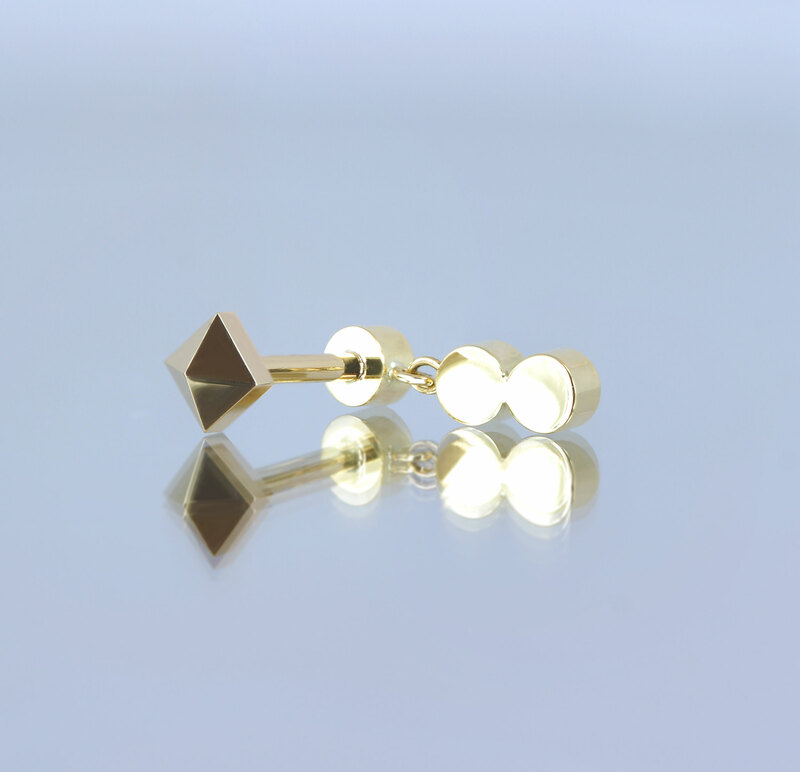 The geometrically crafted earrings are refined, shinier and never weigh down the earlobes. But, there are also big and bold trends that are particularly appealing conversation starters. 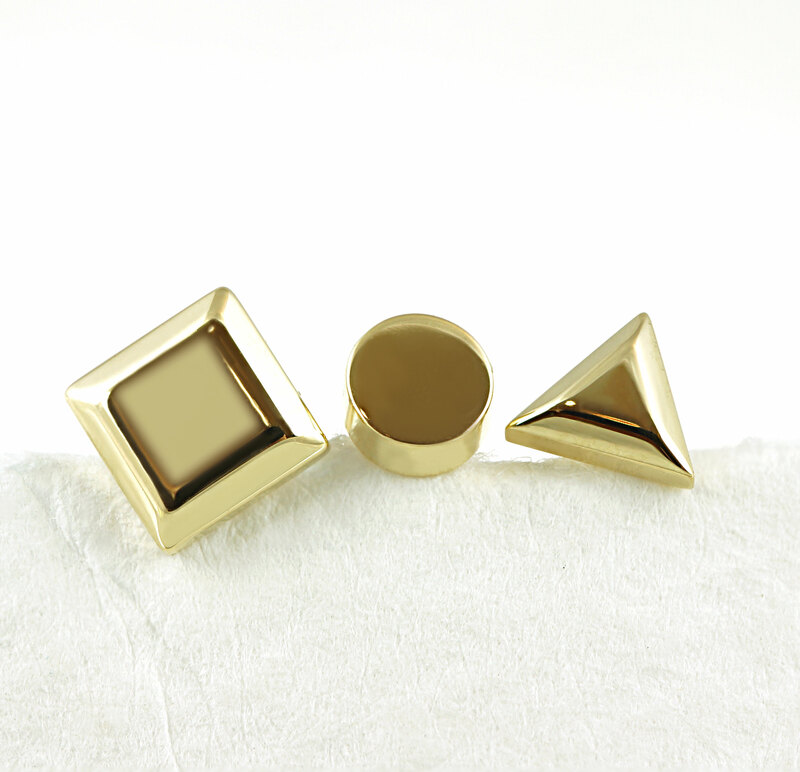 The style features some simple 18k yellow gold pad making the stud a must-have addition. 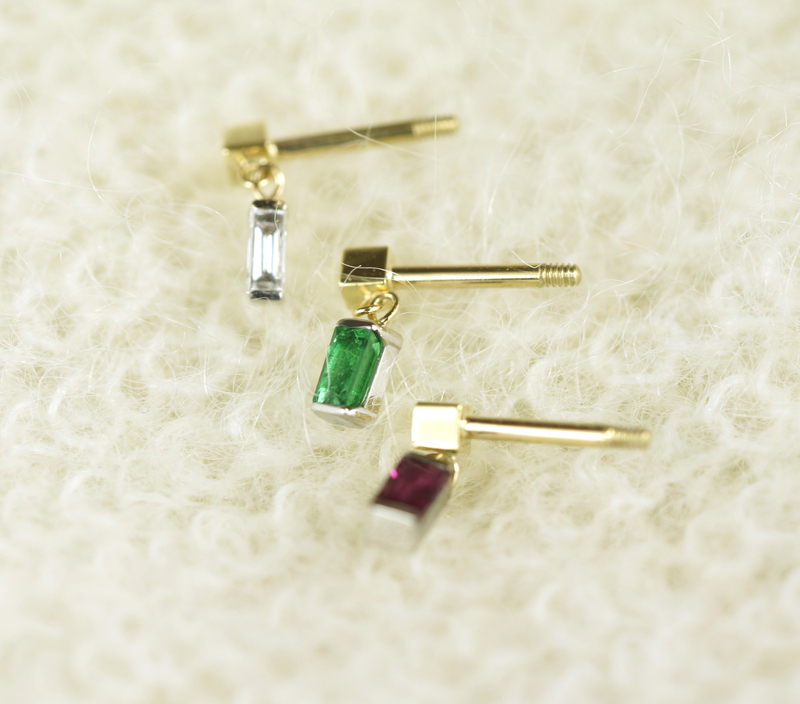 The stud can be worn alone or mismatched with other earrings creating some personal and unique aesthetic. Each surface is handcrafted and polished without using ready-made material providing a perfect shine and shape.The earrings have solid screw backs with an excellent weight that gives the front and back a balance. For anyone looking for the best present for a landmark day, this luxury gift for her guide provides opulent and inspiring earrings. The options are personal, practical, ideal and also fascinating for every budget and occasion.